I'm also nearly finished with a new e-book pattern collection. 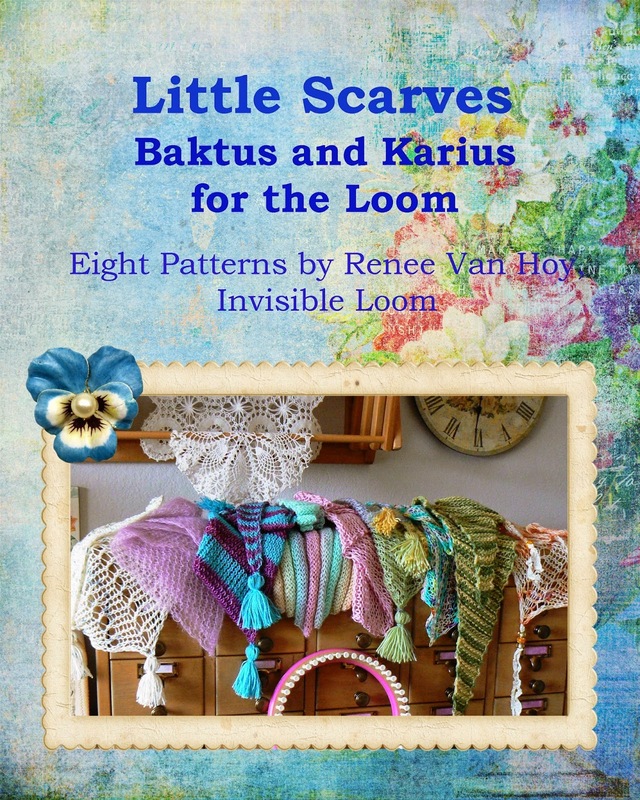 The book is called "Little Scarves: Baktus and Karius for the Loom". It will contain 8 patterns based on the triangle scarves known as Baktus and Karius. To celebrate the loom-a-long and the new e-book, I'll be having a drawings. The prizes will include lots of yarn and a very cute knitting tote. All September purchases $8.00 and up will be entered in the drawings. In addition, all purchasers (past and future) of the Geranium Petal Shawl pattern will receive a coupon for $2.00 off the Little Scarves collection, and all purchasers of the Little Scarves collection will receive a coupon for 20% off the Kitten's Lost Mittens pattern collection. 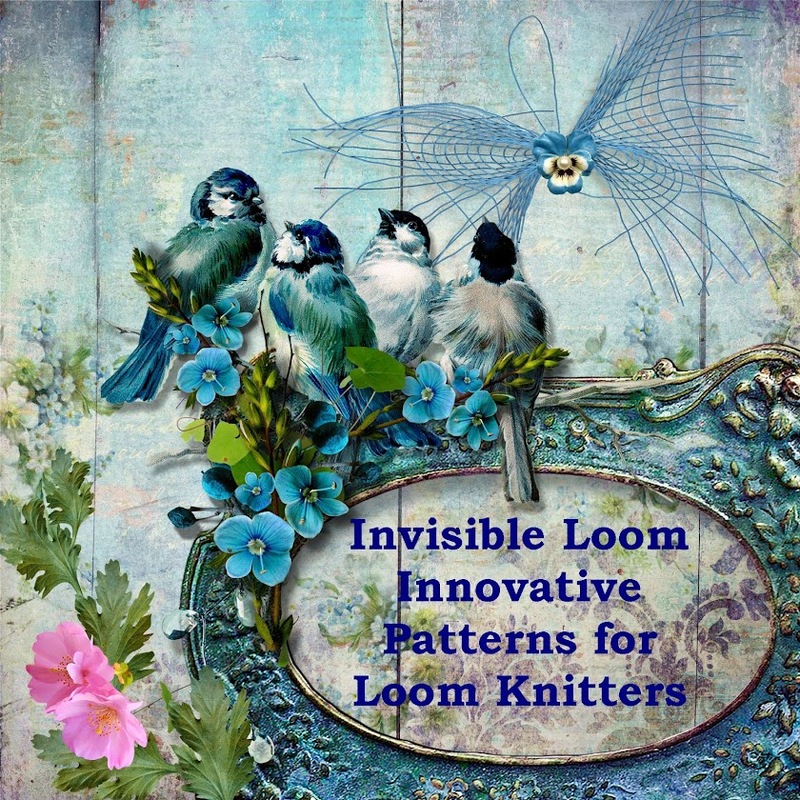 I hope you will join in the loom-a-long, and watch for the previews of the Little Scarves patterns next week. 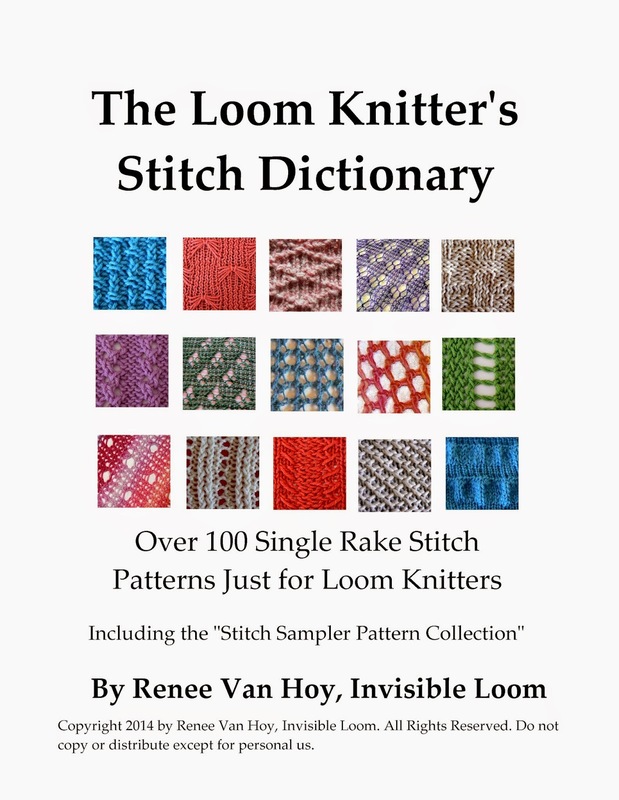 Copyright 2014 by Renee Van Hoy, Invisible Loom. All rights to text and photos reserved. Do not copy or distribute in any form.